Flash floods may become a frequent event in the UK! 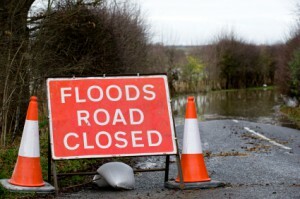 Keeping the treacherous weather that occurred in the winter of 2013/2014 in mind, Newcastle University and the Met Office have recently conducted a study which has uncovered a link between rapid climate change against the mass increase in downpours. Summer and winter rainfalls have many differences for example the hefty rainfall in winter lasts longer than summer rainfall and are extremely common. This type of rainfall can cause difficulties and a good example of this is the well-known destruction that happened across the UK during the winter of 2013/2014. This resulted in numerous people having to flee from their homes in order to escape the rising floodwaters. However, on the other hand, with regards to summer downpours, Elizabeth Kendon from the Met Office said; “It is the hourly rainfall rates that you look at in summer”. Rain during summer months has a tendency to fall in short bursts and these bursts happen to be more powerful compared to normal winter rainfall. This is mainly caused by connective storms. The machinery used to interpret these storms finds it hard to simulate the process mainly because of the absence in ability to home in on such short events. It even took the Met Offices' most powerful computer, bearing in mind that this is one of the most powerful in the world nine months to perform the simulations necessary. With collaboration from both the Met Office and Newcastle University, they were able to work together using hi tech equipment such as weather predication models, the type initially used for temporary weather forecasts as well as climate change computer models. The study found that summer periods would be mostly dry overall but disrupted by repeated/rapid rainfall. Periods of rapid rainfall in comparison to the slow and steady episodes of rainfall can have a far greater effect on the land if it has been dry for a number of months because it will be unable to absorb the rainwater as well as soft land therefore, causing it to runoff ending up causing a “flash flood”. There can be no labelling process of areas that are more prone to flooding than others unless of course it is a reoccurring disturbance allowing officials to measure the time scale between each flood therefore, enabling a scale to be drawn up. This will also depend upon the location of rivers, lakes and upland areas nevertheless; studies show that exposed areas are highly likely to experience a larger number of occurrences as opposed to the number experienced in the past. However a definite number cannot be specified as the weather is completely unpredictable. A leader of the study, Elizabeth Kendon from the Met Office talked about the usage of high resolution weather forecasting models which help interpret the most realistic effects that could occur due to climate change finished with a detailed prediction of further occurrences that may transpire in the UK throughout the coming summer months. "Until now, we haven't been able to do it in this way, this should help people to understand what is likely to happen in the summer in future. It's very important that we've detected this signal for heavier downpours in the UK. It's now for policymakers to decide what to do about it." Despite all of the current weather activity, the worst results may well be many years away according to the high tech equipment that had been used to carry out the survey. Conversely, officials say that more definite outcomes would be obtained by using expert scientific research.